I enjoy collecting frivolous things and I have a great weakness for pins! So here are some of my favourites from my collection. The amazing person behind this shop is my best friend so I have her pins from since she first started. This is one of them! This had started many conversations too because it's so cute! And she progressed to enamel pins, with this one designed fro her wedding! I found out about oodon through a local flea and started by buying stickers from him. 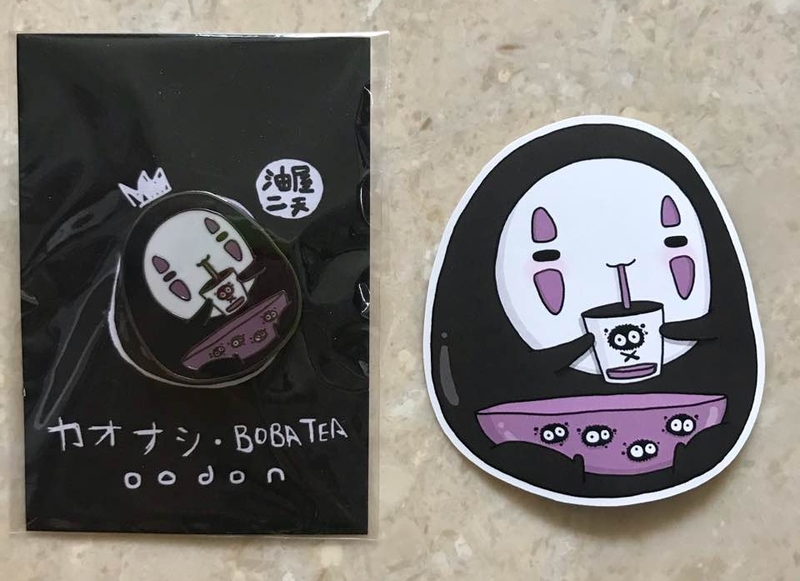 I was so happy when he decided to make pins so I bought this cute no face bubble tea pin from him too! It was difficult to resist this spongebob x gudetama pin as well! 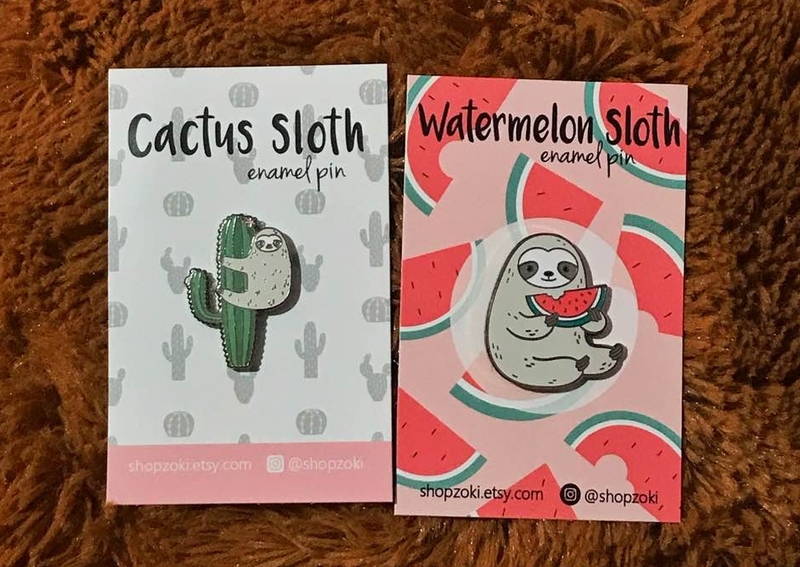 Many people know how much I love sloths, so when I had discovered this shop, I went crazy and bought every sloth pin she has. When I saw this pin while browsing on Etsy, I knew I had to get it because it represents a huge part of me! Pinkoi is somewhat the Asian version of Etsy, an online marketplace for artists to sell their products. There are so many nice things there that I find it difficult to resist the pins they have. This Mount Fuji pin is from Green's Room in Taiwan and I love how it is painted and coloured! These cute mochi dangos are from Hello! Town in China. This Moai is from Wooooo in Hong Kong. They have many whimsical designs too! I had gotten this from thepottershand.co and it looks so real! Many people who have seen this asked me if this is real or if it is soft too. I had gotten these from Spaces Between during a recent Public Garden event! Got these from nandecolle who used to make these but has now shifted her focus to other products! You can check them out still but she doesn’t sell these anymore! I like these pins from anne.briel because they are so relevant to me. I met her at a flea at Westwood Secondary while helping troopsonprint and she’s very nice in person too! Got this in an expensive looking shop in Kumamoto to help raise funds for repairs for the damage done from the Kumamoto earthquake. I was really touched because this is an expensive shop and they treated me so nicely when this pin was only ¥500! These are from recorder_fac in Seoul! This is also from Thailand but this brand has been discontinued. I hope they do make a comeback one day! My pin collection is still growing as more designs are being produced too. I might provide an update after collecting more pins so stay tuned!